An estimated 6.9 million children under the age of five die every year with 0.6 million of these deaths being due to acute diarrheal diseases in developing countries—this is more deaths than AIDS or measles. More specifically, in India 0.2 million children die of acute diarrheal diseases, underscoring the need for urgent solutions to prevent the deaths of so many children. Scientists at Okayama University are working with counterparts in India in conducting active surveillance of the environment in Kolkata in search of pathogens responsible for deaths due to diarrhea. 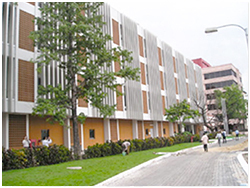 "The Collaborative Research Center of Okayama University for Infectious Diseases in India" was established in 2007 as part of the "Founding Research Centers for Emerging and Reemerging Infectious Diseases" program launched by MEXT," says Sumio Shinoda, director of the center. "We are working with the National Institute of Cholera and Enteric Diseases, Kolkata, to survey microorganisms, viruses, and parasites responsible for diarrheal pathogens." 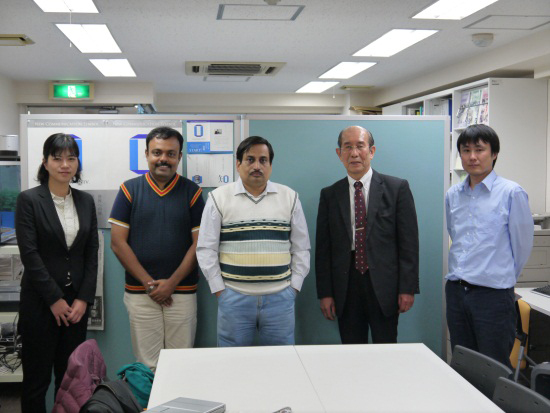 The other members of the Okayama University team conducting research in Kolkata are Daisuke Imamura, and Tamaki Mizuno. -Hospital-based active surveillance of diarrheal diseases at two major hospitals in Kolkata. - Development of Shigella vaccine with initial tests showing heat-killed vaccine to be effective to shigellosis in guinea pig and suckling mouse models. - Studies on viable but non-culturable (VBNC) Vibrio cholerae, where VBNC V. cholerae cells were successfully converted to culturable cells by co-cultivation with mammalian intestinal cells. - Research on pathogenic mechanisms of diarrheal diseases including the binding of Rotavirus to intestinal cells, and production and maturation of enterotoxic protein toxins. - Research on pathogenic mechanisms of enteric parasites. The research also includes the development of oral vaccines and elucidating the mechanisms of diarrheal diseases due to V. cholerae, enterotoxigenic Escherichia coli, and Rotavirus.